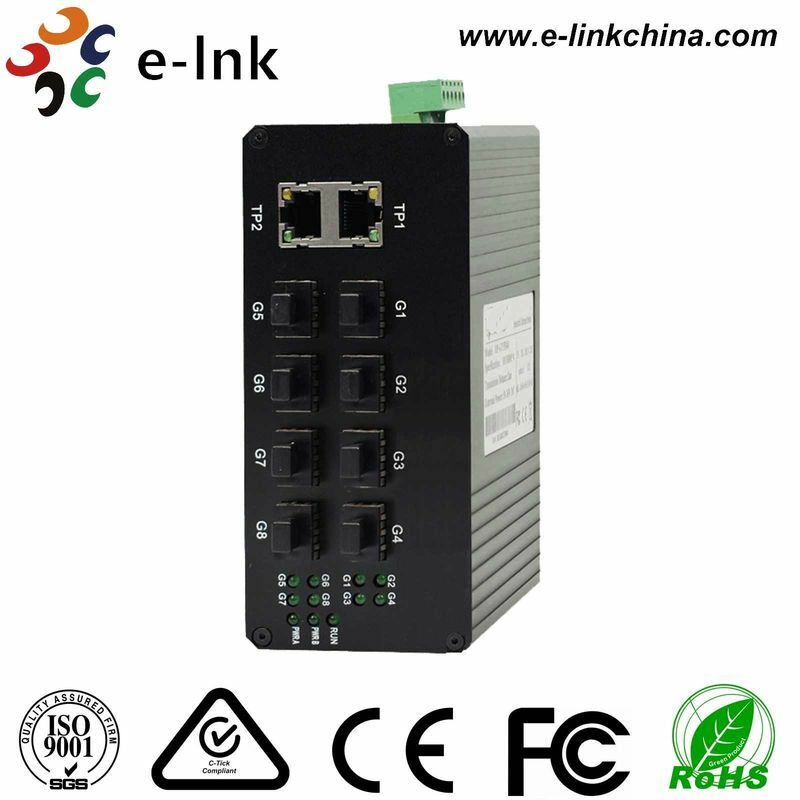 LNK-IMC800G is a unmanaged 8 ports 1000Base-FX SFP + 2 ports 10/100/1000Base-T Optical Ethernet Switch. The Switch provides SFP slot to support the use of SFP (Small Form-factor Pluggable) transceiver module. User can chose different types of SFPs (1000M only). The Switch supports 1 or 2 core Single-mode or Multi-mode fiber. The product operates at temperatures ranging from -40oC to 80oC and DIN-Rail installation. SFP Options SFP option. Please select your SFP on our SFP Options Page (Industrial SFP). SFP module is to be purchased separately. Mounting Options Default DIN-Rail Bracket installed, Wall Mount Bracket is included. Power Supply is to be purchased separately. Our professional sales team and technology support team will answer all your questions and make sure our products meet your requirements. Also we offer long time after-service. Established in 2001& headquartered in Shenzhen, E-link China Technology Co., Ltd. (E-link) is a leading video and fiber product manufacturer in China. 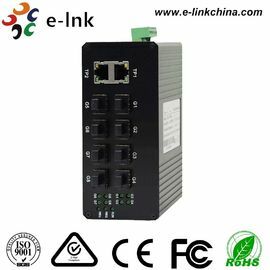 Our main products include active equipments including fiber media converters, CCTV fiber converters, Telephone Fiber Mux, SFP transceivers, etc. And also we supply the fiber optical passive components like fiber patch cord, pigtail, adaptors & attenuators. With rich experience in providing high quality products in telecom and CCTV business, E-link has a large manufacturing base in Shenzhen, able to deliver cost-effective solutions to serve our customers successfully. 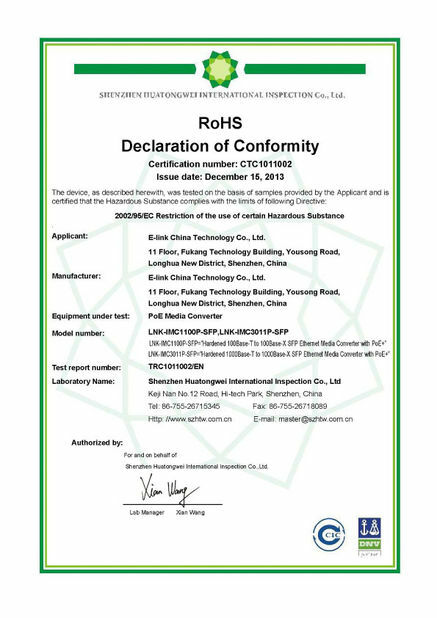 Since the launch of our products on the domestic market and international market, we have won a good reputation for our high quality products and sincere services. Our products are widely applied to network systems of Telecom, Radio and Television, Public Security, Bank , ect. To be in line with different needs of different customers, we have people to trace the latest market information so as to keep our products competitive and vital. 1. What is the warranty on the parts you sell? 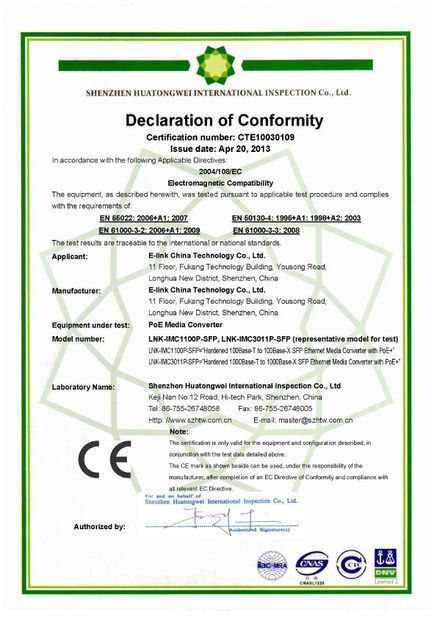 All parts sold by E-link China meet all of the manufactures specifications and carry one year warranty. Some customized products could carry up to three years warranty. 3. What is your minimum order? To achieve customers' satisfaction, we accept sample order, even one Piece.